There are a lot of annoying things that are wrong in the car space. Women are often still treated as decorations at race tracks, the word “dynamism” is far overused, and the engine noises aren’t even real half the time. But there’s something that eats away at me in a far more routine fashion, like a chronic pain that never actually stops and flares up more often than it should: when automakers refer to vehicle models like they’re people. I’m not talking about metaphors or the literary examples of personification you learned in high school. I’m talking about when automakers and their employees remove the article when referring to a car model, and just... use its name. In other words, to them, it’s not the Honda Civic, it’s Civic. It’s not the Toyota Camry, it’s just Camry. This is wrong and bad. 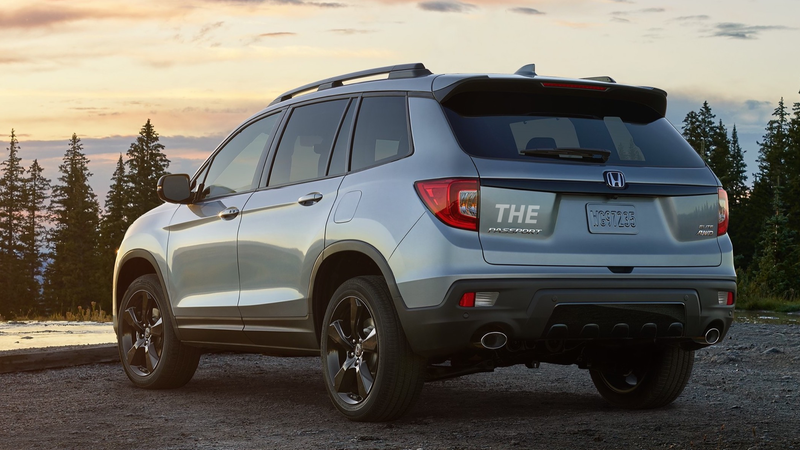 There’s an old myth that claims nobody at the CIA ever called it the CIA, “because you don’t put a the in front of God.” I don’t know about that, but I can darn sure tell you the Honda Passport isn’t on the same level as God. Rolls-Royce and its ultra-luxury vehicles are infamous in doing this even at the company’s North American arm, but the less expensive, everyday automakers have gotten in on the trend as well. You hear it all the time at auto shows—no “the” in front of the model names at press conferences. The Detroit show is happening soon, so we are gearing up for two straight days of hearing about “Avalon” and “Supra” or whatever. Can’t wait to meet these people, because cars are people. If automakers referring to vehicles like you’d talk about your high-school buddy Joe doesn’t make you feel slimier than a 2000s Nickelodeon Awards show, then I just don’t know what to say. We’ve asked Honda—which, again, is one example of many—why automakers do this. It’s probably in attempts to create a sense of grandeur, which usually ends up creating a sense of weirdness instead. I may just be a grumpy, cynical car blogger, but to me, the more human a sales pitch sounds, the more likely I am not to tune it out. I can’t ask my mom how “Miata” is running or when I’ll get to “borrow Miata” without sounding like a weirdo, and automakers aren’t immune to that weirdness. Or, maybe the automakers will slowly get into our heads, changing the way we think and speak about cars, like the widely known tale of how marketing in the mid 20th century made an entire segment of the population swear by diamond engagement rings. But I’ll swear by avoiding this car trend for the rest of my natural life, even if I end up being the odd one out in the year 2050. That’s partly because I’m stubborn, but mostly because I refuse to talk about a vehicle like it’s a person—as we all should.